Soul Awareness Discourses are a course in Soul Transcendence, which is becoming aware of yourself as a Soul and as one with God, not as a theory but as a living reality. They are for people who want a consistent, time-proven approach to their spiritual unfoldment. 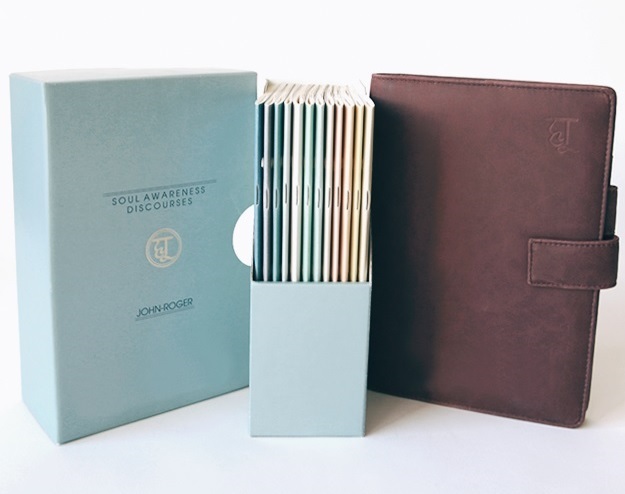 The first-year Discourse Kit includes 12 individual Discourses, a binder, a storage case, and a journal that includes graphs for tracking your spiritual growth and awareness. INTRODUCTORY OFFER: A yearly set of Discourses is regularly $100. MSIA is offering the first year of Discourses at an introductory price of $50 plus shipping ($15 domestic or $35 foreign). First year Discourses come with a full, no-questions-asked, money back guarantee. If at any time you decide this course of study is not right for you, simply return the Discourses and you will promptly receive a full refund. MSIA Soul Awareness Discourse topics include Realms of Light, Acceptance, The Law of Cause and Effect, and Responsibility, to name but a few. Studying Discourses often leads to better health, greater wealth, more loving relationships, and knowing God as a living reality in your life. We invite you to take advantage of this special offer to experience Discourses. Until you do, you won't know whether or not they are right for you.